News | Why Maintaining Correct CO2 Concentration is Important? 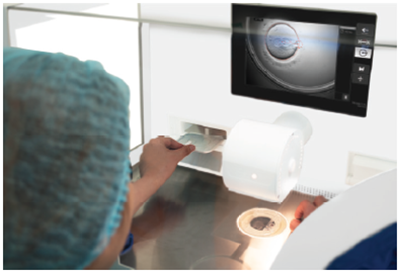 A careful manipulation of gamete and embryos has always been an important element of embryology as it contributes to the overall success of ART. The regulation of CO2 concentration all throughout the IVF process from egg retrieval to preparation and fertilization up to incubation is of paramount importance as this gas helps regulate the pH of the medium. The pH of the culture medium is an important variable that can significantly impact gamete function and embryo development. Thus, it is highly important that CO2 is not only regulated during IVF incubation but also during the handling and manipulation of oocytes and early embryos. Constantly exposing the embryos to a fluctuating pH may lead to shock or stress. Embryos can tolerate a lot of stress and still show a decent development. However, stress may accumulate and impact the embryo’s potential to implant. At Esco Medical, we take this matter seriously by providing innovative technologies that ensures the proper balanced of pH. The Semi Closed Environment or SCE IVF has an enclosed structure that is being gasified with CO2 gas at both the work zone and built-in incubators. This is to maintain the pH of the buffered media while you do your observation under the built-in digital microscope. 2 incubator compartments with access from the front (inside the working area) and from the back (outside the working area). Heated zones on the work area. CO2 controlled environment separately monitored in the working area and the 2 incubator compartments. Data Logger software with full insight of temperature and gas conditions.